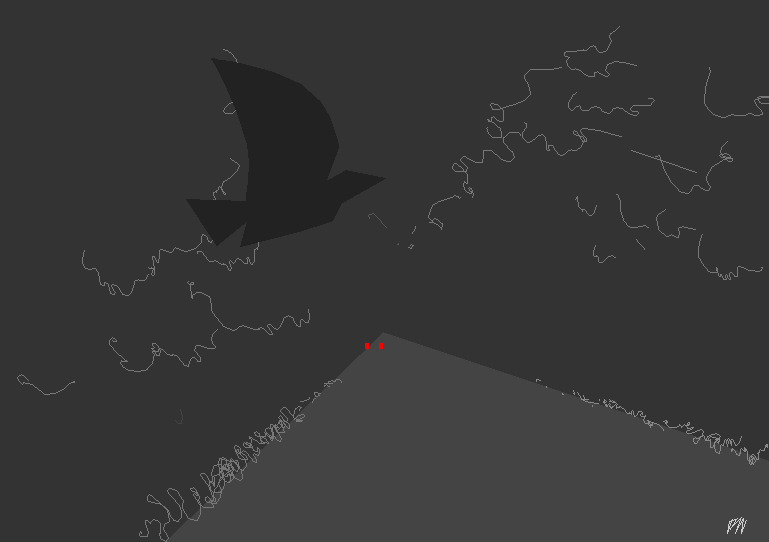 There was a sudden thrashing of wings on the left and a black shape flashed across. Have you ever been lost? Of course you have. And I’ll bet the first thing you did was to ask the first person you saw how to get to… wherever it was you wanted to reach. Most importantly, you knew where you wanted to be. I was once lost in the middle of Calcutta but I didn’t. I had no idea of where I wanted to be. I was a young RAF man. I’d arrived by air from Rangoon that afternoon with two other chaps and we’d been driven from the airport straight to a new unit. But surely I’d been told the name of the place? The name of the RAF Unit? Oh, yes. I’m quite sure I had. But – well, I’ll explain. In the armed forces you have your hand held. At times like unit transfer there’s no need for you to concentrate. You are given your papers which include the name of the place, the RAF station you’re going to and the number of the Unit. You have no need to refer to your papers. RAF vehicles will take you to railway stations, RAF Police Corporals will point you to your train and more RAF Police will be waiting for your arrival and get you to your waiting jeep, and that’ll take you to your new unit. So you dwell dreamily on the scenery and the people. Well, I do. I had my identity card. Of course, my papers would have helped. But they were lying on my bed in our new unit. As soon as we had arrived there we were told that, if we were interested, there’d be a ‘Liberty Run’ into Calcutta in half an hour’s time and we could hop on the truck if we liked, have a look round. The truck would pick us up again at the same place at ten o’clock and bring us back. We all said yes, and threw our bags and papers onto our beds, found the showers, changed, and, with about a dozen others, we climbed up into the back of the lorry. From my seat at the rear I watched the retreating road. It was a long, straight road. We were dropped off outside a huge cinema. The driver told us all again to be waiting on the same spot at ten. He would pick us up. I saw on the cinema’s programme board that, later, they would showing something I’d heard of and wanted to see. 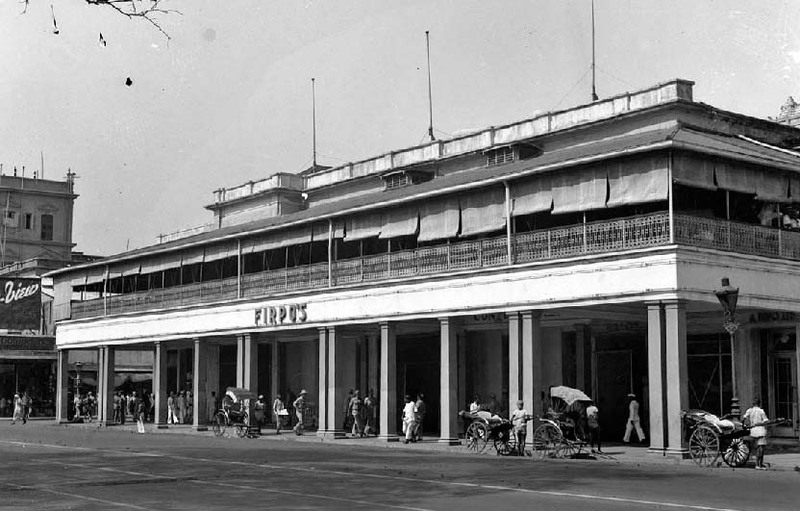 Neither of the other two did, so we wandered along the wide and noisy street called Chowringhee and had a meal at the famous Firpo’s restaurant. I said cheerio and I’d be waiting outside the cinema at ten, as directed. The film came to its end and I went out into the the heat and noise of Chowringhee and waited. It was five to ten. I waited for ten more minutes. No sign of the other two, no sign of the truck. I waited another ten minutes. So, either it had left early with them or I’d got the time wrong – and I knew I hadn’t. I called a taxi – and it was only then that it dawned on me. Taxis are for people who know where they want to go. I didn’t. I was in the middle of a densely-populated city of the 1940s, crammed with impatient tonga-wallahs and ricksha-wallahs and several men and boys on either side of me as I waved the taxi driver on to do business elsewhere. I pondered, as best I could with the noise. I had watched the road from the back of the lorry as we entered the city and I remembered we’d crossed a bridge just before we got to the cinema. So what I had to do was to ask people for directions to the bridge and after that it should be simple – walk along that long, straight road and thumb a lift when anything came up behind. I found the bridge. They called it the Hooghly Bridge, which was reasonable because I did know there was a River Hooghly that flows through Calcutta. Once over the bridge I found the beginning of the long, straight road. I started along it. Compared with the lights of the city it was dark, very, very dark. Thick forestry encompassed little me and the traffic noise, which had been slightly comforting in my situation, was now abating behind me. I could actually hear my footsteps. My imagination was beginning to suggest unpleasant things. Was this the right road? There came a sudden thrashing of wings on the left and a black shape flew across in front of me. I heard my heart pumping. Then there were voices. Very subdued voices, in the way that two people speak when they are far apart and don’t want to be heard by others. It was father and son hunting that bird, wasn’t it. Nothing dangerous. I was getting shivery. Then, from behind me I heard a vehicle in the far distance. It was the first one I’d seen or heard since I left the city lights. I stopped and turned, waiting to hail the driver and ask for a lift to – or, rather, tell them I was lost, virtually, and ask them if they could help. Its lights became brighter. I stood well into the edge of the road and held up a hand in the way hitch-hikers do. But it roared past, its rear lights fading into the distance to two very small red dots. Silence again. I heard no voices now, but unidentifiable forest sounds that came and went, very quiet, rustling sounds. And then, behind me, I heard a sound I knew well. It was the sound of a Jeep. I turned, and waited. It was an American Air Force jeep, and the driver gave his headlights a couple of flashes before pulling up beside me. I explained. The huge engine idled, crackling away, and they shook their heads and drew on their cigars. Then one of them snapped his fingers. ‘Climb in,’ he said. He had an idea. They would take me to their own unit and get their files out and phone around. Ten minutes later we turned into a brightly-lit yard. I was shown into the unit’s canteen. Coffee and a plate of snacks was brought. They were still phoning round. The lights, the casually friendly atmosphere and the relief melted me. I could have hugged them all. They found my unit, gave them the gist and told them they would drive me over next day. Then they took me to my room. In the morning I found a magnificent breakfast waiting for me, huge, hot and aromatic. The white-aproned GI chef came across to me, smiling and standing back, arms folded in self-congratulatory mode. ‘English breakfast, huh?’ he said. I thanked him from the heart. An hour later I stood to attention in front of my own Commanding Officer at what I now knew was No 329 Maintenance Unit in the area called Bally. I had been on the right road. He was brisk and to the point. He started by telling me that their driver the previous evening had indeed arrived early at the cinema and he and the others had forgotten me. He then read me King’s Regulations on the topic of carrying one’s documents. Footnote: On the following day, further inspection showed this new RAF Unit, or rather its living quarters, to be a magnificent mansion – and to have been the home of the Indian poet, Rabindranath Tagore. PW. This entry was posted in Autobiographical and tagged bally, breakfast, chowringhee, Firpo's Restaurant, gi, Jeep, King's Regulations on 13/12/2013 by Paul.